I don't know if it's a good idea to have my first post of a brand new year focus on looking back at the previous one, but unfortunately, nothing worth writing about has happened so far in 2016. 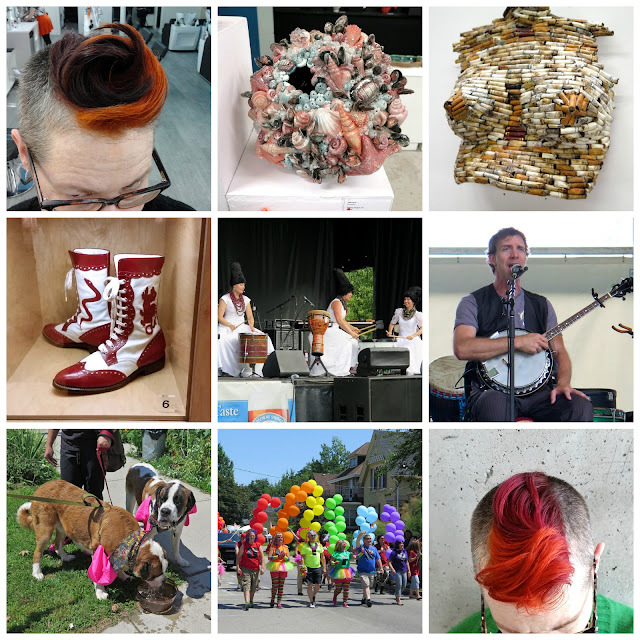 So, let's revisit some of my favourite things from 2015. 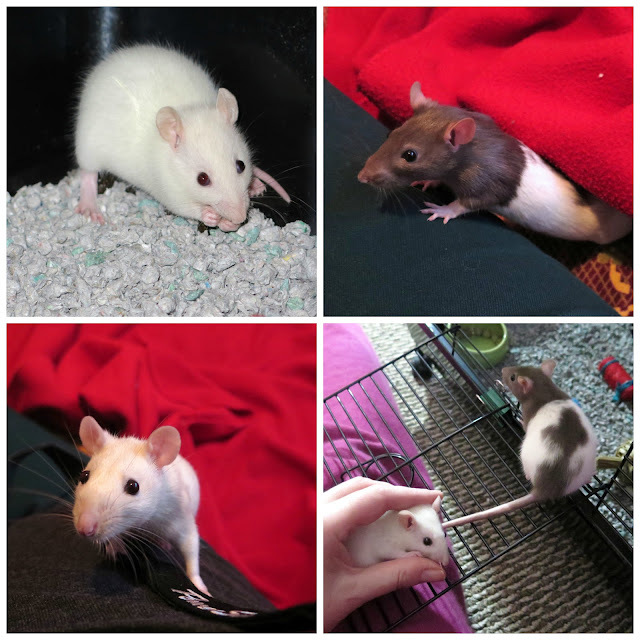 Even though I brought Ginger and Ruby home at the end of December 2014, January 2015 was my first full month as a baby rat-mom. Looking at them now, I can't believe how tiny they were, and how attached I've become to them. 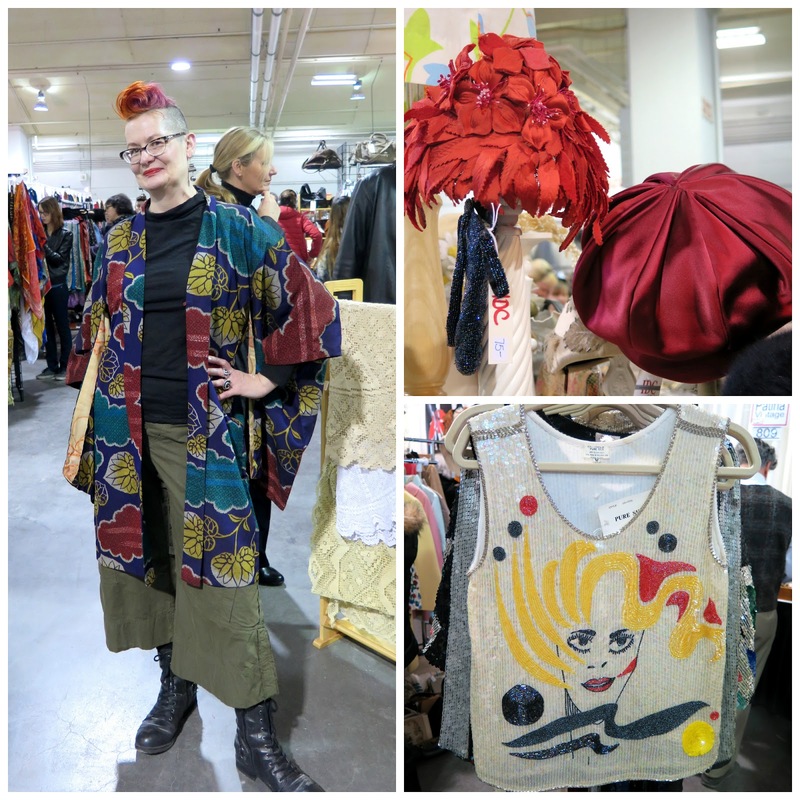 In March, a friend and I went to Toronto Vintage show for the first time, and drooled over stuff like the fab hats in the upper right from the Ian Drummond Collection, and the sequinned tank top from Patina Vintage. You can find my original post here. This year's Spring show is on March 5th and 6th. April meant another vintage show, this one in the company of fellow blogger Suzanne Carillo. 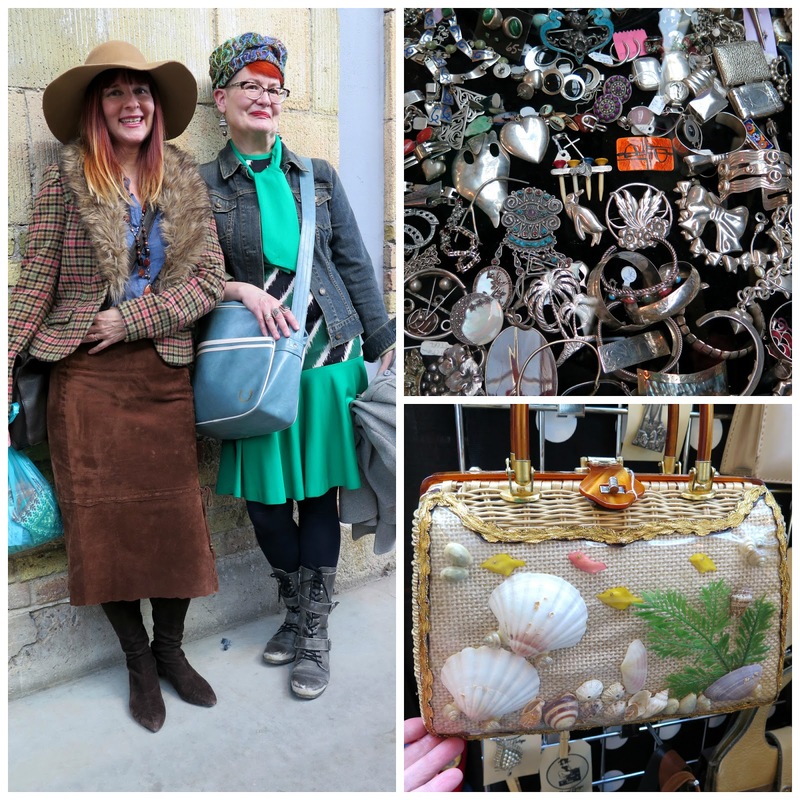 We spent a couple of hours browsing the booths at the Gadsden's Toronto Vintage Clothing Show, and then sat outside on a patio for lunch (yes, it was warm enough!) and treated ourselves to delicious eclairs. The full blog post is here. April was also the month in which I acquired a few items (including the "flower garden hat" in the above photo) that once belonged to a woman named Rachel Heyndrickx, through an online auction. 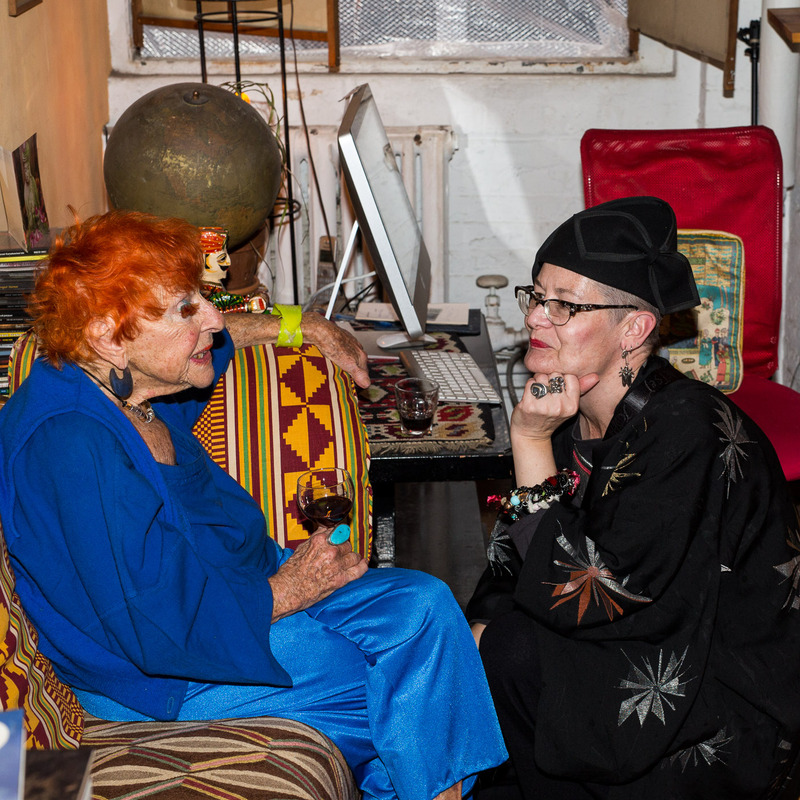 From what I learned of Miss Heyndrickx, I came to think of her as a kindred spirit, who was extremely independent, and loved dressing up, and I was sorry I never had the opportunity to meet her before she died. For more about Rachel and her wardrobe, see my full post here. 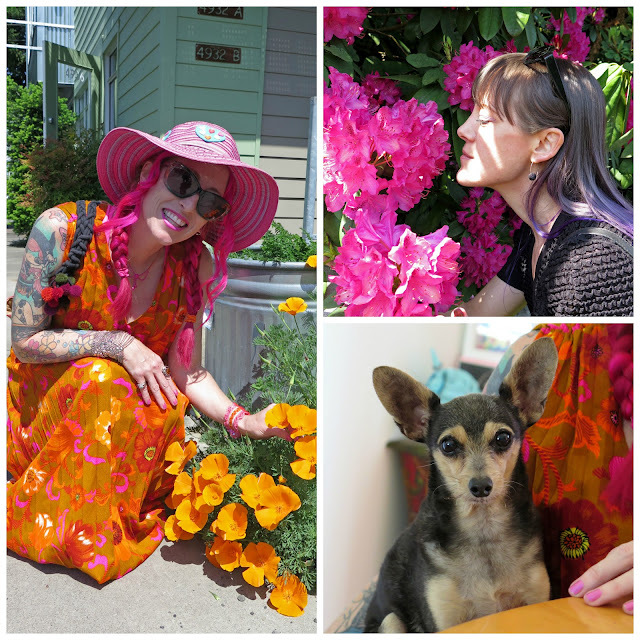 May brought a much-anticipated opportunity to meet my dear friend Krista for the first time, in Portland Oregon. In the company of her friend Christi, we spent hours laughing, eating, and thrift shopping. I was introduced to the thrift shopping wonderland that is Red Light Clothing Exchange, and got to meet Krista's sweet boy, Peetee, who, sadly, has passed away since my visit. Portland is a wonderful city and I would return in a heartbeat. 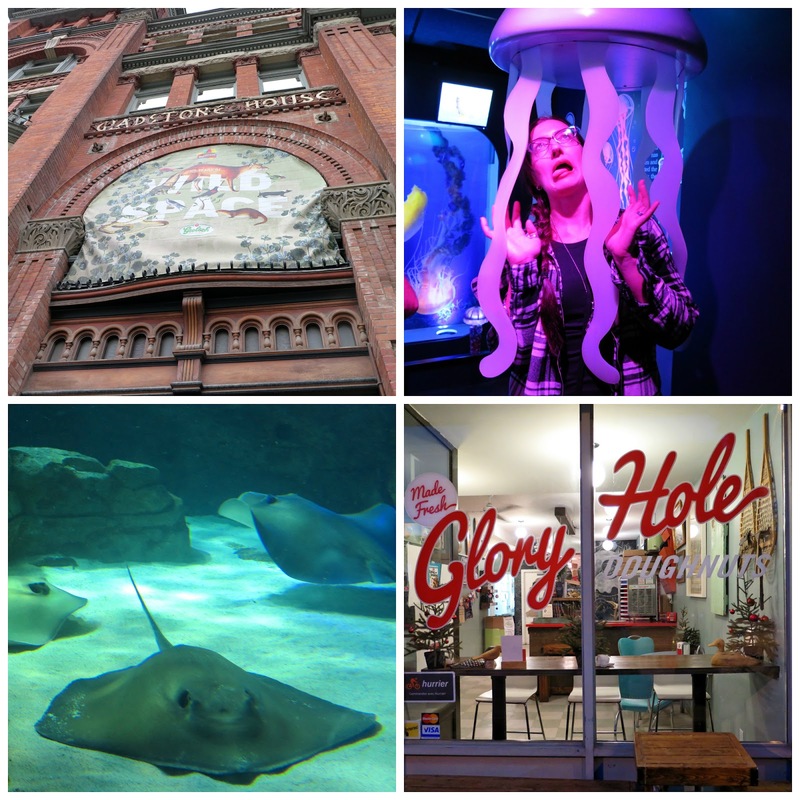 I experienced stomach issues for most of the summer, but still managed to get to some festivals and art shows, and a visit to the Bata Shoe Museum in Toronto. My hair also changed colour combinations at least twice. 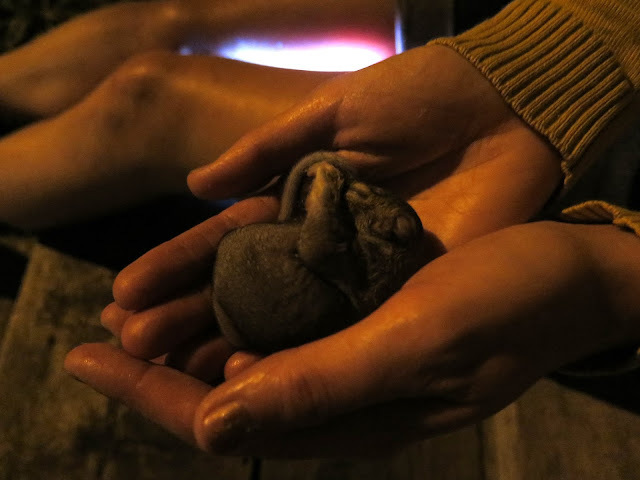 The highlight of August was the rescue of two orphaned baby squirrels by my neighbour Natalie, whose care and feeding kept them alive long enough to be transferred to a wildlife rehabilitation facility. I kept them overnight in my apartment, warmed by an electric heating pad, and I was so happy to have contributed in a small way to their survival. 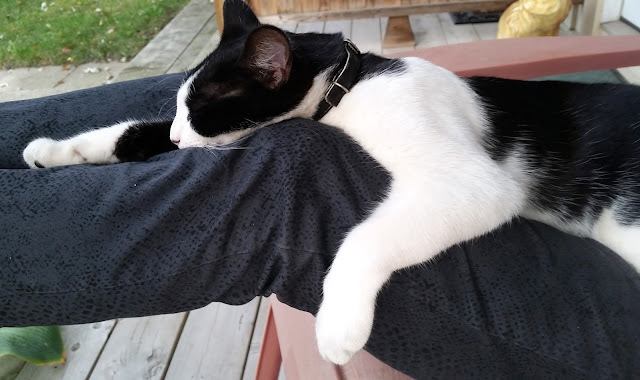 October brought some quality time with my neighbour's cat Oreo, who would move away with his family at the end of the month. 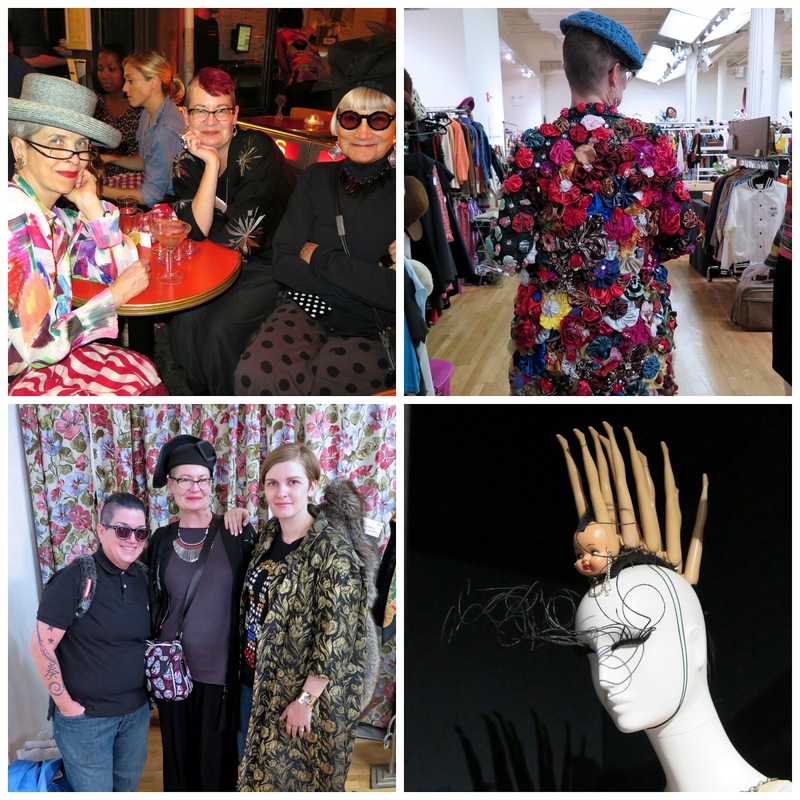 I so look forward to spending time in New York in October with my friends, The Idiosyncratic Fashionistas, and this year's visit was jam-packed with adventures, including the Manhattan Vintage Show, the Suzanne Bartsch exhibit at FIT, and meeting Lea DeLaria and her fiancee. Full posts here, here, here, and here. For some unknown reason, I did not write a blog post about a party I attended when I was in New York, which was unfortunate, because one of my absolute favourite moments of the year occurred there, when I met artist and Advanced Style icon, Ilona Royce Smithkin. We had a brief, but memorable conversation, and I can honestly say that she absolutely radiates positive energy. When you are talking to her, her entire attention is focused on you, as if you were the most important person in the world, and one has the impression that she sees you exactly how as you have always wanted to be seen. I was enthralled, charmed and delighted, and felt incredibly lucky to have spent time in the glow of her warmth. A special thank you to Denton Taylor for capturing the meeting for me. As the year drew to a close, my BFF and I went to Toronto to celebrate our birthdays and enjoyed a free night in a fancy hotel, delicious doughnuts and hanging out with the fishes at the Ripley's Aquarium. Going through photos from the past year made me realize that despite a lengthy bout of illness over the summer, to quote Frank Sinatra, it was a very good year. 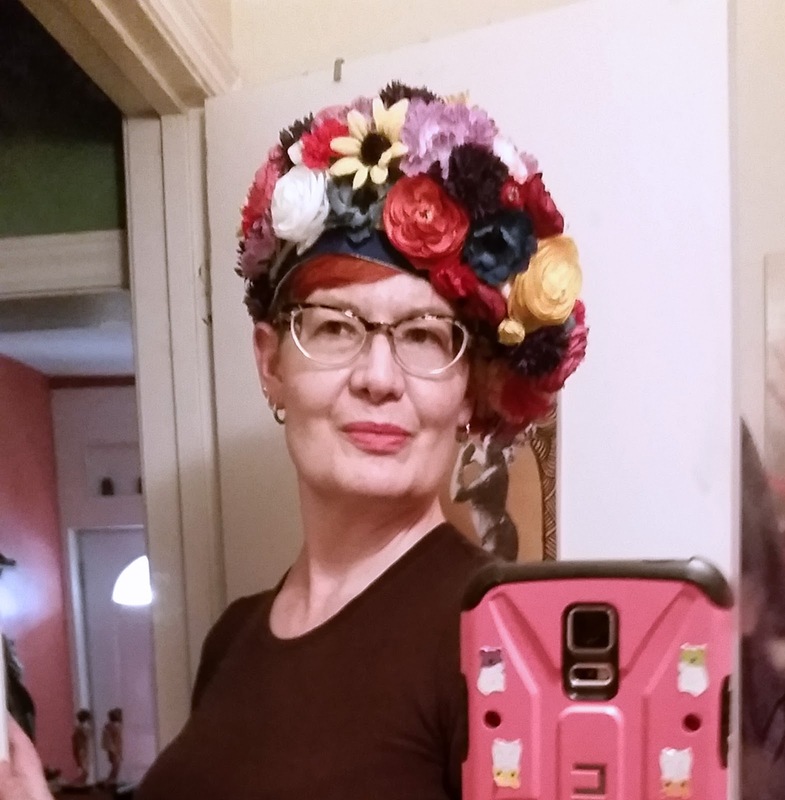 Wishing all of you a new year full of laughter, love, good health, and fabulous outfits. Visual overload in the best possible way. I of course clicked back to go through all your original posts of events. A nascent resolution I have, the only one, rather big, is to make more money and get a bigger closet! HAHAHA! You have a wonderful eventful life, Shelley. Your hair, your hats, your rats, your travel and friends. I LOVE the photo Denton took of you and Illona Royce Smithkin. I hope you still consider a party post. I agree with Mel...I'd love to see more about that party! You looked fabulous BTW. What a good year you had - apart from the stomach problems of course. I love your outfits and you always look fabulous. I have been catching up with some of your posts as I only recently discovered your blog, which I've been really enjoying. Aw, so many good things in 2015 for you, Shelley! I hope that 2016 continues with adventures, big and small! I love your posts, and reading about all the cool things you do. wouuu, glad you've enjoyed so many fabulousness through your year, and you've shared with us!! thanks!! wishing you an even more fabulous new year!! yes!! What a year! Thanks for sharing your good fortune with us. I feel like I've been there too! Looks like 2015 was a great year! I just love that shell purse! Wishing you all the best in 2016! What a wonderful post dear :) I wish you a happy healthy 2016 with lots of fun! This was a great way to begin the new year. I loved this post. So many new photos. So many adventures. Gee you live a full life. I love your little rats but was wondering why you chose them and not the obvious: a cat? You seem to like cats too. As evidenced by this beautiful post, you've had a fabulous year indeed. I'm so happy that you included the photo of your magical moment with Ilona. Denton captured the two of you and your interaction with perfection. Viewing your post, I'm struck with how much meaning blogging brings to our lives. Looking forward to your adventures in 2016!